Ex-POTUS Barack Obama wore the same tuxedo and shoes for two terms of his presidency. 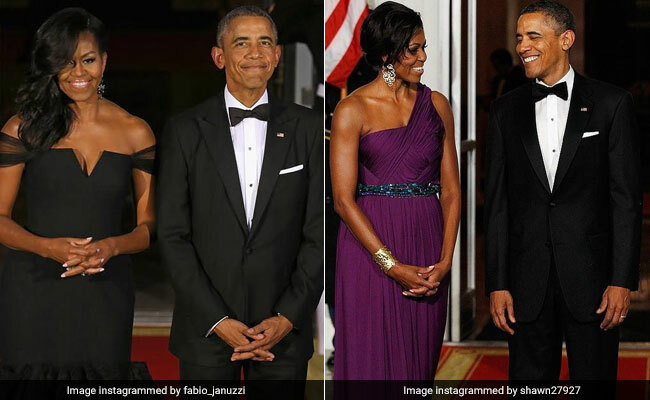 In a candid conversation on Tuesday, former First Lady Michelle Obama revealed that her husband and ex-POTUS Barack Obama wore the same tuxedo for eight years of his presidency without anyone noticing. In doing so, she laid bare the sexist double standards of style - for she herself was scrutinized endlessly for every outfit she wore. "People take pictures of the shoes I wear, the bracelets, the necklace - they didn't comment that for eight years he wore the same tux, same shoes," she said to thunderous applause from the audience at Apple's Worldwide Developers Conference in California, USA. "You know, this is the unfair thing - you talk about Fred Astaire and Ginger Rogers - no matter what we do, he puts on that same tux," she said. During her eight years in the White House, Ms Obama was frequently in the news for her sartorial choices. Widely regarded as one of the most fashionable first ladies since Jacqueline Kennedy, Ms Obama added that her husband was also proud of his fuss-free dressing up routine. "And he was proud of it too. He's like, 'Mmm, I'm ready. I'm ready in 10 minutes. How long did it take you?' I'm like, 'Get out of here'" she said.